Best music streaming services 2015: comparison review | What Hi-Fi? 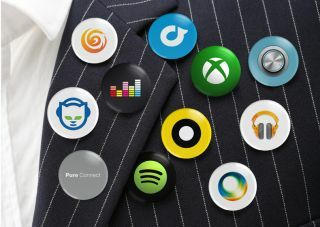 When it comes to getting your digital music fix in 2015, more and more people are turning to streaming services such as Rdio and Spotify – rather than downloading music from the likes of Amazon and iTunes. Music streaming revenues saw a 33.7% rise in 2013 and now accounts for nearly 10% of all consumer revenues from recorded music. According to the BPI, subscription revenues from streaming services like Spotify and Deezer has risen to £103.1m. UK music fans are estimated to have streamed 7.4 billion songs from audio streaming services over the past 12 months – double the levels of 2012 – and the numbers look likely only to increase. Apple's acquisition of Beats Electronics for $3 billion is seen by many to be as much about Beats Music, the US streaming service, as about the headphones, so Apple could soon be joining old foe Google (and the rest) in the market. Spotify is arguably the company that really kicked off the big music-streaming revolution and, with 24 million active users, it’s still leading it. The interface looks fresh – if a little gloomy – thanks to a recent update and it still leads the way in terms of content (often exclusive), music recommendation and platform support, with the Spotify Connect feature bringing the service to yet more AV products. For Premium subscribers, Spotify has 320kbps playback; 160kbps is the free bitrate and 96kbps is an option for mobile users wanting to limit data use. It can't match the CD-quality streaming available on new service Qobuz but the overall sound quality is good – if a touch below Google Play Music, Sony Music Unlimited and Qobuz. Despite Spotify not leading the pack in sound quality, we're still massively impressed with it. Its track record at securing exclusives is increasingly crucial, while support across a range of devices and impressive music recommendation, help make Spotify the music subscription service to beat. Qobuz aims to take the sonic high ground, offering 16-bit/44.1kHz FLAC-quality streams. And it's big – setting its subscriber sights firmly on those who value that above all else. Of course, you’ll have to pay for the privilege; the ‘Qobuz Hi-Fi’ FLAC-quality subscription costs £19.99 per month – double that of most other services. The good news is that it sounds head and shoulders above its nearest rival. Platform support is decent across Android, iOS and Windows 8 devices, plus desktop and Sonos, while the 14-million-song library is good if not exhaustive, missing certain albums compared with rivals. Elsewhere it has a little catching up to do as well, with the search function proving erratic and little by the way of music recommendation based on your listening tastes. Despite some new-service grumbles, it’s sound quality that really counts here. You pay for it, but this is the closest to hi-fi quality streaming we’ve heard. If you're reading this from outside the UK, you may be familiar with Deezer. It's available in an impressive 182 countries, more than three times the number of countries in which you'll find Spotify. It offers a huge library – again, claiming to be noticeably bigger than Spotify's – good platform support, impressive recommendation buttons and good social sharing links. The overall interface, across desktop and mobile, is very slick. And, perhaps most crucially, Premium access is available for £4.99/month for your first six months, before going up to the typical £9.99/month. Premium users get 320kbps tunes and the sound quality is good, if a little bright, compared with rivals. For library size, ease of use and overall features, we're more than happy to recommend Deezer. Tidal, like Qobuz, offers streaming in CD-quality lossless formats. Its library contains some 25 million lossless files and it also offers in excess of 75,000 HD videos as well as curated content. It's available as a web player and as an app on Android and iOS. It will also play nice with Bluesound, Simple Audio, Sonos and McIntosh products. Now launched in the US as well as the UK, Pure's streaming music service offers music next to live radio. It boasts 15 million tracks, 20,000 live radio stations and 200,000 podcasts. It's a little low on other features, from recommendation to social sharing and apps, but our main issue is with the sound quality: streams are limited to 128kbps MP3. Thankfully they hold up pretty well, but it's still a step down in sound compared with rivals. Rdio aims to deliver an ad-free and reliable music-streaming experience, with a simple, intuitive layout. And, largely, it succeeds. Again, the key issue is bitrates. Rdio offers streams at up to 192kbps for web streaming and over mobile wi-fi, with a rate between 96kbps and 192kbps over mobile data connections. A strong catalogue, good interface and great social features are welcome, but it needs to be more competitive on sound quality. Napster has made a big play of music discovery, with a 'Featured' tab offering curated playlists with accompanying editorial content from Napster’s music experts. You can also follow friends and other users on the service to find more music. It has a neat interface across all platforms, too. What lets all this goodness down is the streaming bitrate, which tops out at 192kbps for tracks streamed via mobile and played offline and then drops to 128kbps (or occasionally lower) for those on your laptop. Pre-installed on most Sony devices, and available across the PS4, Android and iOS devices, Sony Music Unlimited is far from annoying bloatware. It's a largely easy-to-use experience and one of the best-sounding services out there… provided you don't want to take advantage of offline listening. It's present and correct all right, but the bitrate drops from 320kbps to 48kbps for offline tracks – something that we don't think is good enough. And that, coupled with some catalogue gaps, makes for a lukewarm recommendation for Sony's subscription streaming music service. Spotify isn’t the biggest music streaming service out there for no reason – it’s also the best. There’s not another service out there that offers the same all-round experience, and for that reason, we think it's the best. It’s not the best sounding service though. If pure quality of sound is at the top of your streaming wishlist, you should consider the FLAC-tastic and fellow five-star testmate Qobuz. You’ll be paying £19.99 per month for the privilege, but some will feel it’s worth it for the boost in sound quality. If editorial content is important to you, Napster is definitely worth a look, while Pure Connect has the unique offering of live radio stations and thousands of on-demand podcasts as well as streaming. They both lose a star for their lacklustre bitrates though – and really need to get these up to 320kbps in order to compete. While Rdio has a lot going for it with its usability, it’s in a similar boat. Conversely, Google Play Music All Access and Sony Music Unlimited are some of our favourite sounding services on test. But Sony’s poor offline playback quality and Google’s refusal to allow social sharing from anything but Google + causes us to dock them both a star, not to mention the fact they both fail to offer a tablet-optimised app for iPad – a really important feature we’d expect from a five-star product. Deezer is strong in terms of the social experience, usability and innovation. There's a smart interface and it will cost you half as much as Spotify for an introductory six months. However, it is Spotify’s faultless catalogue and slightly wider platform-support that edges it the win. All things considered, we can’t recommend a better place to spend your monthly streaming music tenner.